On the front of this silver t-shirt you will see a play on the movie poster Jaws when the shark is ready to take a bite out of a boat only this time intsead of the word Jaws you see “BASS” and the boat is a bass fishing boat, under water you see a quote bubble that says “Your gonna need a bigger boat!” and of course where the shark was is now a nice huge large mouth bass. 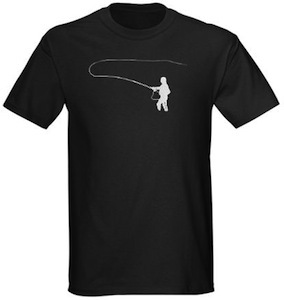 Available in a wide variety of sizes that range from Small to 2XL so all fishing enthusiasts can enjoy and it is made from 100% cotton giving you a durable yet comfortable long lasting t-shirt. 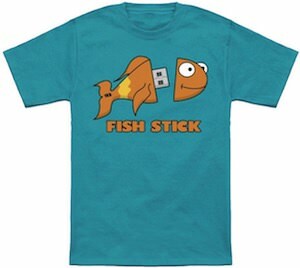 You can also choose from 9 different fun, vibrant and cool colors of shirts to get your bass fishing print on. 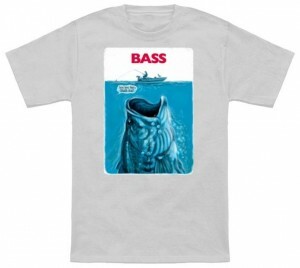 Have a look at the Fishing Gonna Need A Bigger Boat Bass T-Shirt. The classic “keep calm” saying is now ready to give you luck out on the water while fishing, if the fish are not biting no worries “Keep Calm And Fish On”. 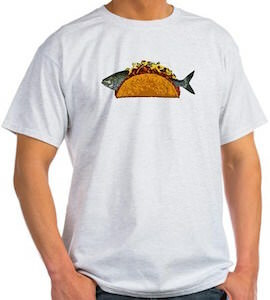 This is the perfect fishing t-shirt that features the saying “Keep Calm And Fish On” on the front of the t-shirt along with the picture of a fish above it. You can get this awesome t-shirt in a huge selection of sizes and many different colors, other than being a super comfortable t-shirt it is also made to be very durable and last a long time. 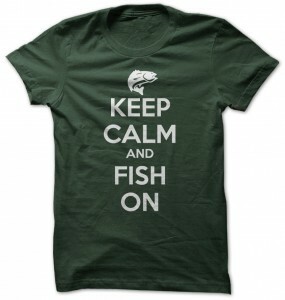 Go and catch your own Keep Calm And Fish On T-Shirt. 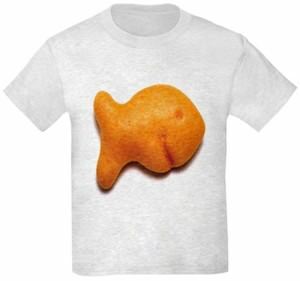 This is the t-shirt for the fisher in your. 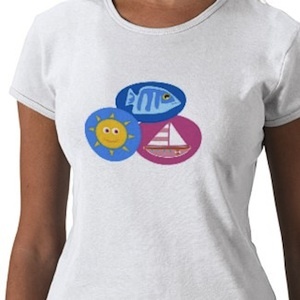 It says “Born to fish forced to work” with a nice big fish in the middle. 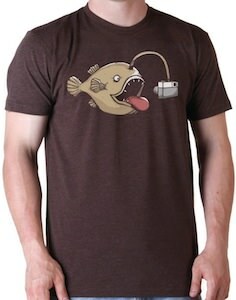 Although I don’t fish I still agree with this statement and would think about adding this shirt to my collection. 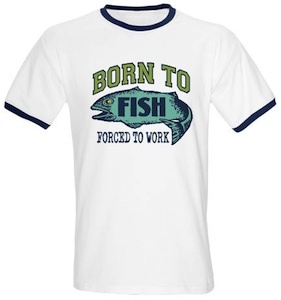 Go check out this Born To Fish Forced To Work T-Shirt.